GettyTom Brady, and Harry Kane. 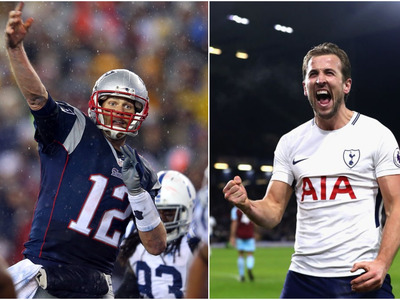 Five-time Super Bowl champion Tom Brady inspired Tottenham Hotspur striker Harry Kane. Brady’s origin story of rejection is one that resonated with Kane, who developed late as a footballer but is now the top goal scorer in the Premier League. The origin story of New England Patriots quarterback Tom Brady inspired Harry Kane, once an unwanted and gangly teenager, to overcome rejection and storm to the top of the Premier League goalscoring charts. In a column for The Players Tribune, titled “Zero to 100” to celebrate his 100th Premier League goal on Sunday, Kane said he watched a documentary about Brady in 2013 and it changed his life forever. Brady, now considered one of the greatest American football players of all time, was not drafted until the sixth round of the 2000 NFL draft. That crushing rejection at the start of an athlete’s career is something Kane related to after he was released by Arsenal when he was just eight years old. Kane had a brief spell with Ridgeway Rovers, a non-league club famous for helping launch David Beckham’s career, and Watford. But, in 2004, he signed a deal with Tottenham Hotspur. It could have been his big break but he spent the next four seasons on loan with four different clubs, waiting for his chance at Spurs. “If I wasn’t training, then I was playing Madden or watching New England Patriots videos on YouTube. So one day, I happened to stumble on this documentary on Tom Brady. And it’s all about the six quarterbacks who were taken before him in the NFL draft. “Turns out, Tom Brady was the 199th pick in his draft class. Imagine that. It just blew my mind – but in a good way. The film really struck a chord with me. Everyone was doubting Tom his whole life. Kane, like Brady, kept working and working until he got his chance. He refused another loan move and began training with the Tottenham first team in 2013. He made sporadic appearances in the Premier League but it was not until the arrival of current Spurs manager Mauricio Pochettino in 2014 when everything changed for Kane. “Brady believed in himself so much – and he just kept working and working, almost obsessively, in order to get better. It really connected with me,” Kane said. 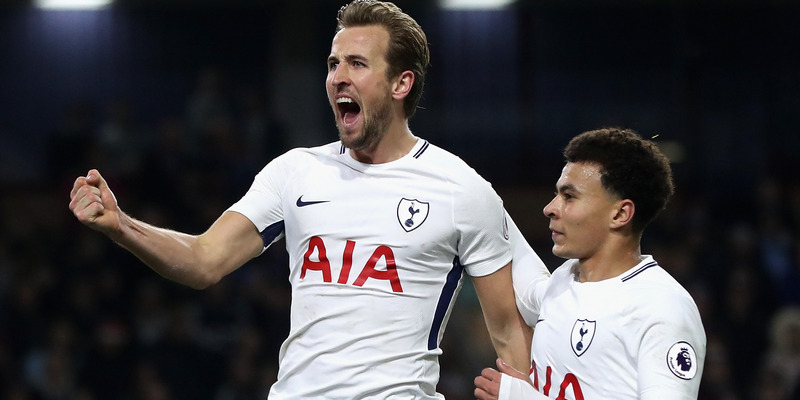 Since starting regularly for Spurs, Kane has returned 125 goals in 171 appearances in all competitions. He has been the Premier League’s top scorer for the past seasons and is leading the race for the golden boot again this season. The weight of the nation’s hopes will also rest on his shoulders as England aim to win the 2018 FIFA World Cup. It is fair to say Kane grabbed his chance.